RetinaLyze v1.3.4 has just been released! 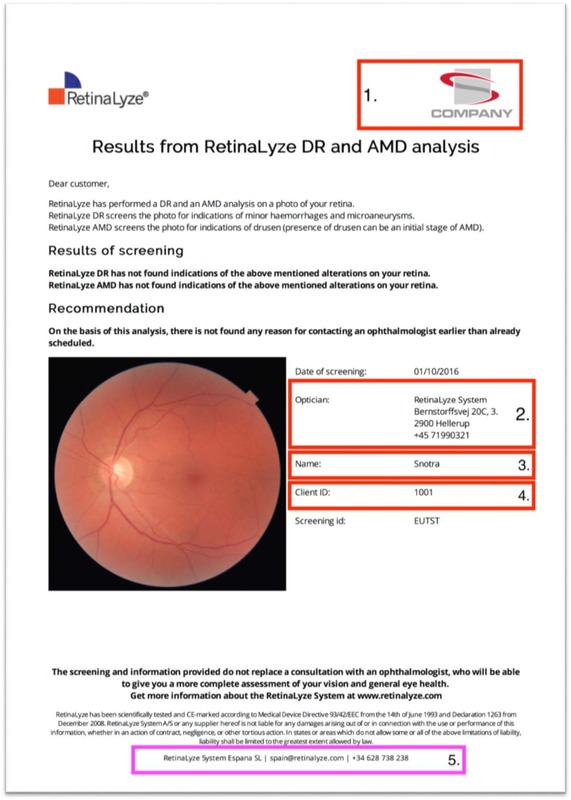 We are proud to present RetinaLyze version 1.3.4, which consists of a series of updates for the Eye-Specialist Backup and a new printable PDF for all customers as standard. The update will enhance the value of the Eye-Specialist Backup for our customers and their patients. With the new PDF report it is possible to deliver a more customised and personalised response to patients. 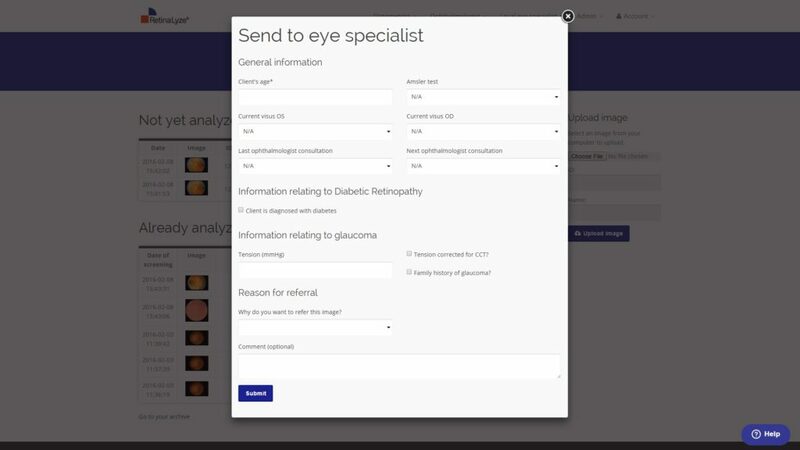 Version 1.3.4 introduces a new Eye-Specialist Backup form for all customers using the Eye-Specialist Backup function. This new form improves the information basis on which the eye-specialist can assess the image. This information could be relating to the client’s age, Intra-ocular pressure (IOP) and changes in the visus or glass prescription. This version also adds the Eye-Specialist Backup assessment comment to the printable PDF. This improves efficiency of the following diagnosis in the next steps for the patient.